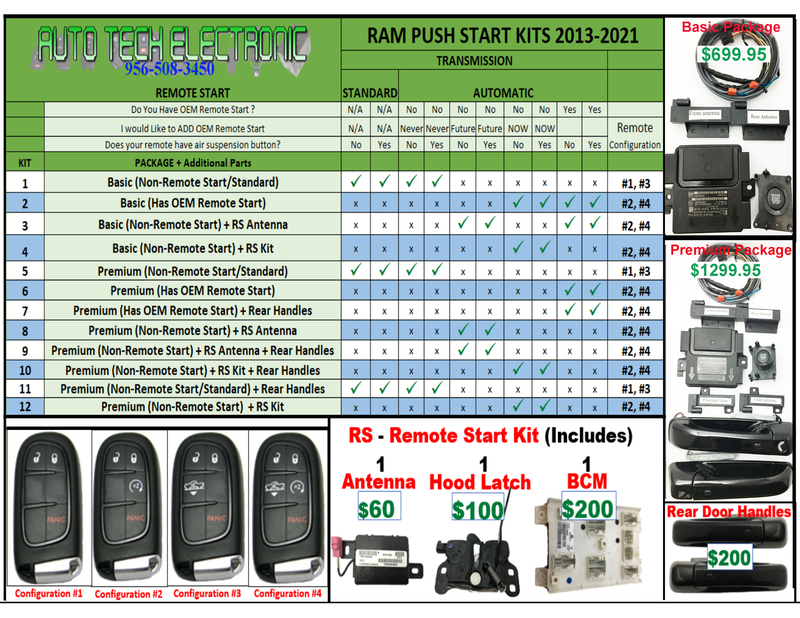 New OEM Proximity Keyless Entry Receiver with remote starter Kit. This Basic package is available for standard and automatic vehicles. this is the best purchase i have ever made from upgrading my vehicle to a push start my life has been so much easier i don't have to take my keys out to be able to turn on my vehicle just get in and turn it on when having trouble with taking out the key now it is much easier for me thank you Auto Tech.